How do you go from business studies to making butter? From studying Classics & Drama to creating digital media? How does a phd student go from corporate then to startup? How do you incorporate social enterprise into your own business dream? What’s it like to fail and start again? A 22 year old with a dream to own a business will have all kinds of questions. 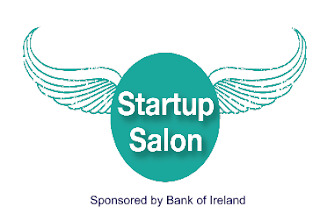 Startup Salon returns on Thursday 8th October in our space at 4 Dame Lane from 18:30 - 21:00. The event is part of the Startup Gathering, and is dedicated to students and graduates to answer the many questions they have as they face the big world as aspiring entrepreneurs. The panel will discuss the many ways of making the transition from student to startup and the many paths that will lead them to where they want to go in life. The event is brought to you by Janice Valentine. A qualified Executive and Life coach with a BA Hons in Marketing, Janice is the founder of Great Life Distillery, which is an inspiration and empowerment platform connecting individuals with coaching programs, events, podcasts and content that will support them go after the dreams they want to achieve. For over 10 years Janice worked as an Executive Assistant in Financial Services; most of which was gained in the City of London where she worked for large global Banks like Bank of America Merrill Lynch and Goldman Sachs. Janice is an advocate of entrepreneurship and launched Startup Salon in July to support individuals achieve their dream of setting up a business. A panel discussion will start at 7pm and finish at 8:15pm (with a 10 minute interval at 7:30). Russell Banks, Investor Sheet. Ian Lucey, The Lucey Fund, Elaine Lavery, Improper Butter, Shane Lynn, KillBiller, Triona Campbell, beActive Media. Between 8:15 and 9pm there’ll be plenty of opportunities to ask the panel questions, and connect with people who share the same dream over a drink at the bar.